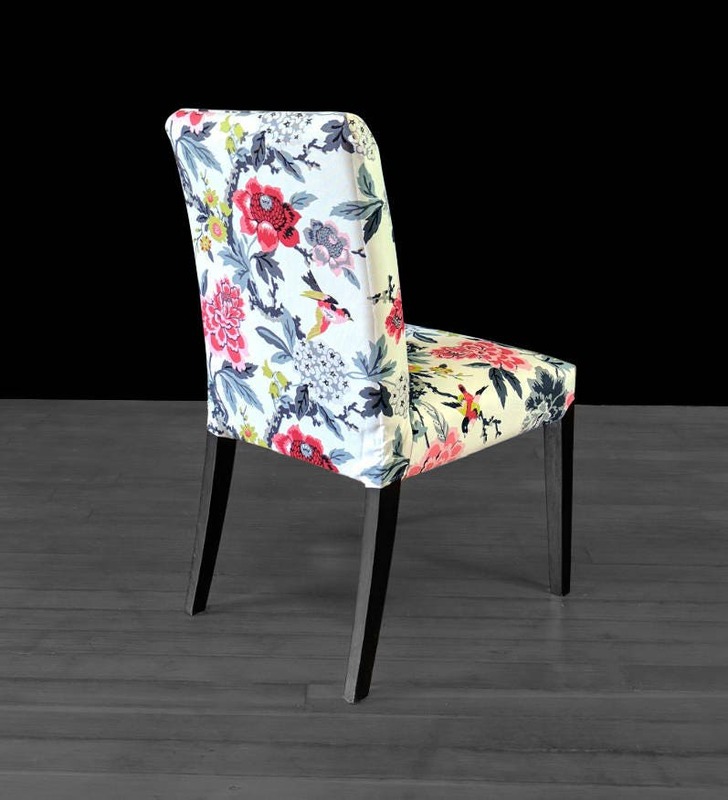 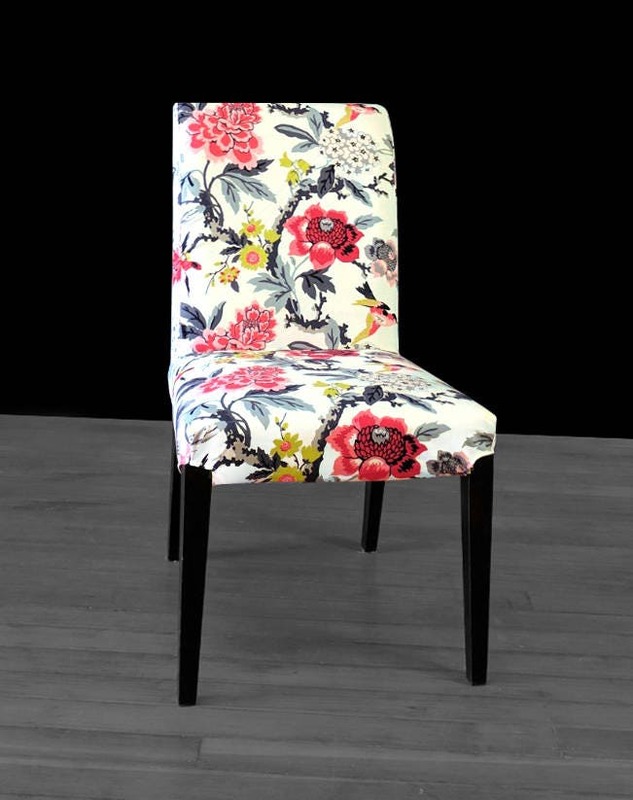 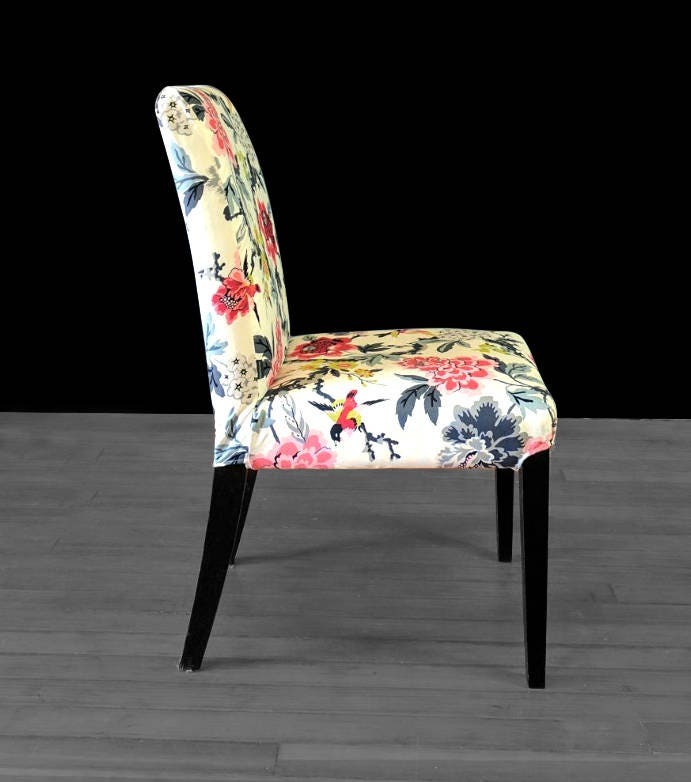 Unique custom floral print IKEA HENRIKSDAL dining chair cover in "Candid Moment" white Ebony! 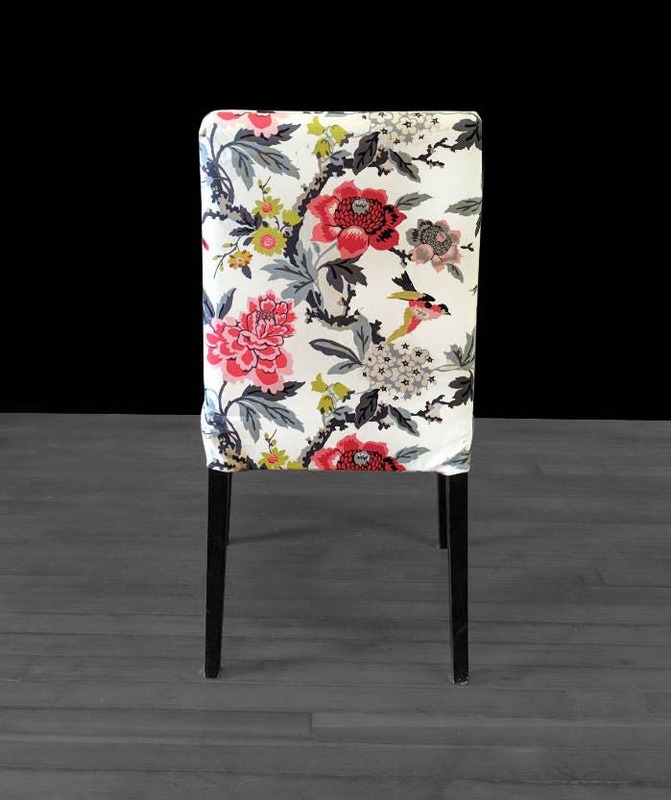 Love Michelle's work and this fabric!!! 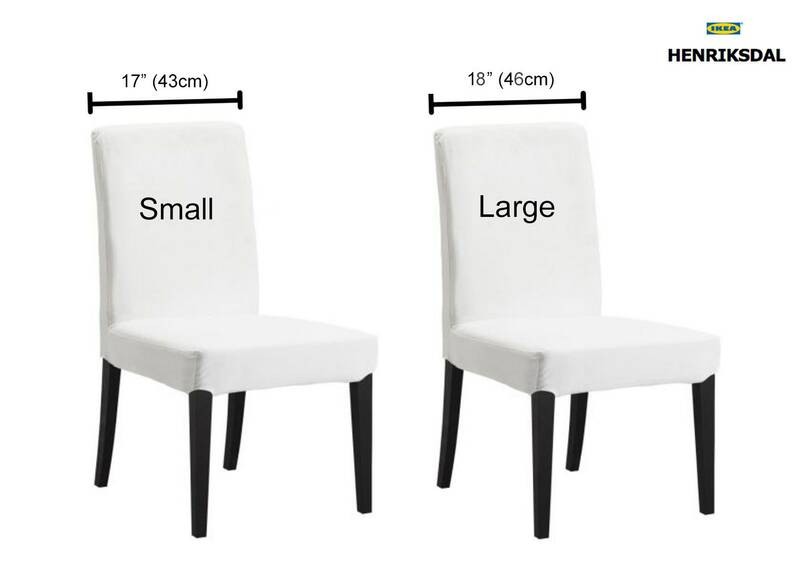 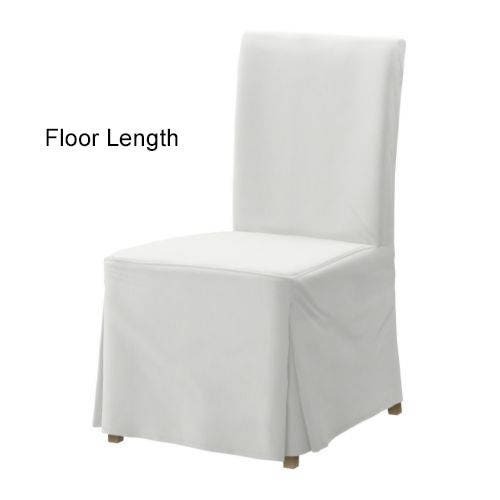 Such great quality chair covers!